What is the Weather Conditions Filter and how can I use it in my workflow? 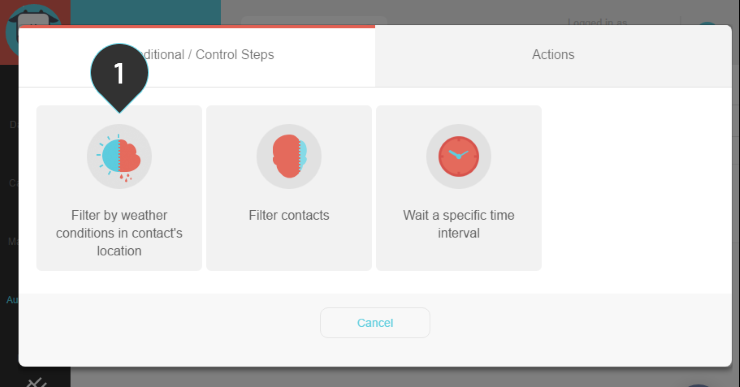 Once you start using the available conditional / control steps to create your own automation workflow you'll notice that one of the options available is called "Filter by weather conditions in contact's location". 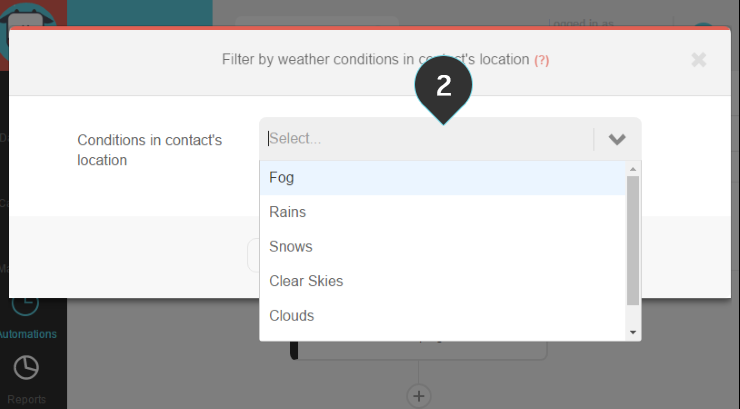 This type of conditional filter checks the weather conditions in the recipient's geolocation and breaks up your workflow in two sections, based on what the weather at that specific location currently is. For this filter to work properly you must choose a trigger from either the Email engagement or the Website engagement categories, out of the available trigger types, so that Moosend finds out the recipient's IP address and recognizes their geolocation. Remember that the Website engagement category also requires that you've set up your Moosend account so that it identifies your website users. 1. 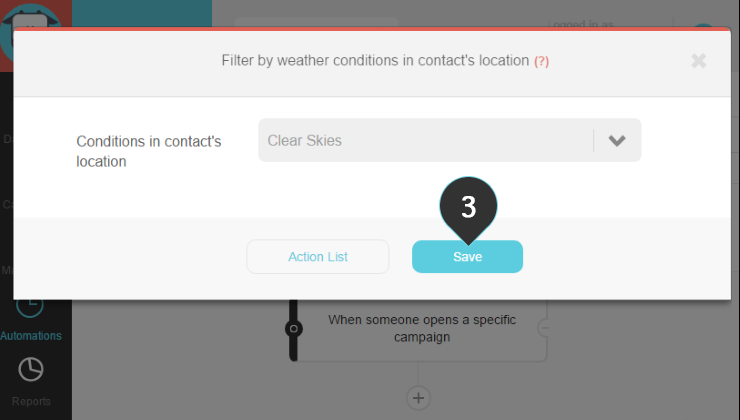 Click on the Filter by weather conditions in contact's location option. 2. Choose one of the available weather conditions from the drop-down menu. Here's a simple example of how the Filter by weather conditions in contact's location step can be put to good use. The automation starts when one of your subscribers clicks on any link in a specific campaign (1). The Filter by weather conditions in contact's location step (2) is set up so that it checks whether or not it's raining at the subscriber's location - if it indeed happens to be raining then an email with subject "Don't forget your umbrella" is dispatched (3).